Chattanooga-based startup Branch Technology wins an international competition to create sustainable housing for deep space exploration. 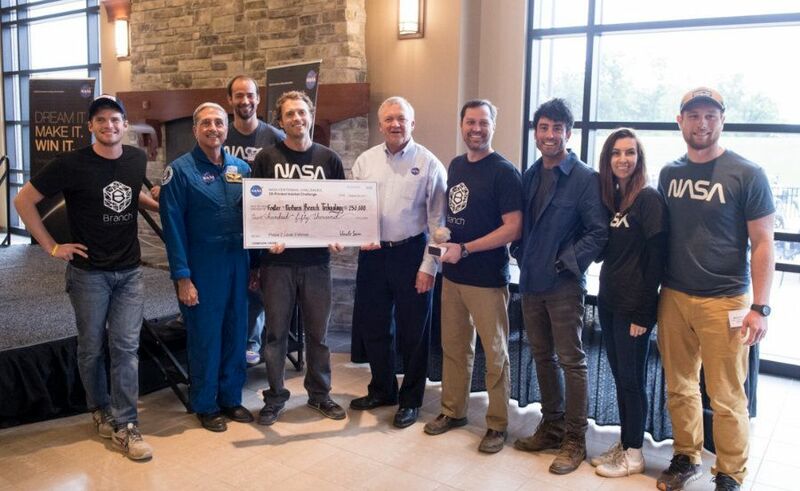 We love celebrating when past clients and friends get recognition for industry-changing innovation, and this weekend, we were proud to see Chattanooga-based company Branch Technology win NASA’s 3D-Printed Habitat Challenge! Branch Technology was founded by Platt Boyd and Christopher W. Weller to bridge the divide between the past and future of construction. After relocating from Montgomery, AL to Chattanooga in 2015 to participate in GigTank, the founders have pushed the limits of 3D printing by combining conventional construction materials with 3D printing technology and large-scale robotics. Shelters will be crucial for deep space exploration, but sending the habitats from Earth presents some challenges. The materials for the habitat must fit inside a spaceship, which limits the size of the habitat or requires that it is shipped in pieces. The added weight of the materials also adds cost to the mission. 3D printing offers a creative solution to this problem. NASA’s idea is that autonomous robots could be sent to deep-space locations like Mars to build habitats before human settlers arrive. These robots would rely on resources found on the planet’s surface and recycled materials. That’s why NASA created its 3D-Printed Habitat Challenge. In the competition, NASA challenged teams to build 3D printers that could create large-scale, habitable structures using materials that can be found on the surface of Mars and recycled plastic waste from space missions. During the event, teams from all over the world built the structural elements with their custom 3D printers and tested them for strength. This was the second of three phases of competition, and Branch Technology won first place, which included a prize of $250,000. In the next phase of the challenge, teams will compete to create structures large enough for habitation. 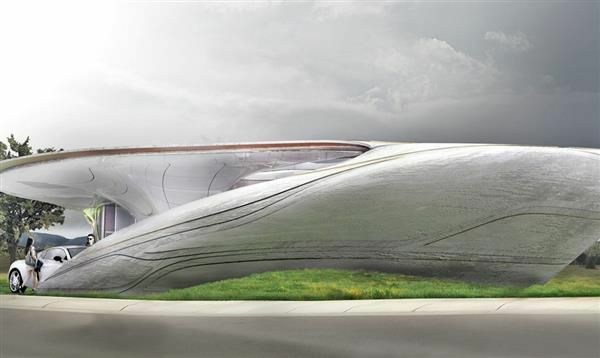 In 2016, Branch hosted the Freeform Home Design Challenge, which invited architects to design the first house to be printed using the company’s technology. Branch challenged architects to throw out preconceived notions of traditional design and construction and think freely. The winning house, was designed by Chicago-based Urban Architecture Studio of WATG, an internationally recognized architecture firm founded in 1945. Branch’s founders hope to finish construction of the 800-square-foot home in Chattanooga by the end of 2018. In a decade or two, the house that now takes weeks to build could be done in a matter of days. The winning house, dubbed Curb Appeal, was designed by Urban Architecture Studio of WATG. I had a few minutes to chat with Platt about the competition. As you can imagine, he was still glowing about it. “Total validation,” was his answer when asked about what this means for his company. He said that this was a calculated risk worth taking because the team at Branch was so confident they could find a way to win. Platt went on to talk about some of the takeaways from the experience. Platt and his team also enjoyed working hand-in-hand with some of the top organizations in the world. Their architectural partner for the competition, Foster and Partners, designed the Apple Park in Cupertino. The team also enjoyed working with experts at NASA who showed a lot of interest in the work they were doing.